The largest state fair in the country, the State Fair of Texas is back for 24 days of spectacular fun with everything you could imagine at a state fair – plus so much more! Fair Park Dallas opens their gates to visitors from across the country from September 28 – October 21. The variety of deep-fried delicacies may be one of the main attractions for those adventurous enough to try such treats as fried bubble gum, fried peanut butter & jelly, fried frito-pie, fried ice cream and more. Others are after the traditional corn dogs, nachos, cotton candy and turkey legs. 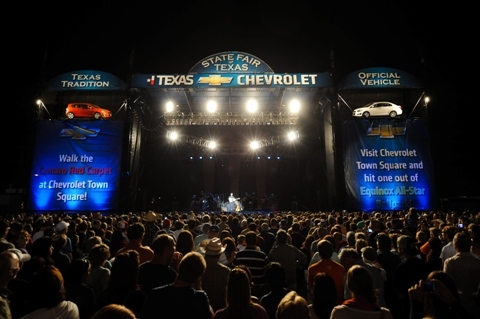 If you’re still deciding what the draw is to this 2012 State Fair of Texas and how to make the most out of your visit we’re here to help! We’ve compiled a list of our TOP 10 REASONS TO VISIT THE STATE FAIR OF TEXAS. The Texas State Fair is known to be the fried food capital. 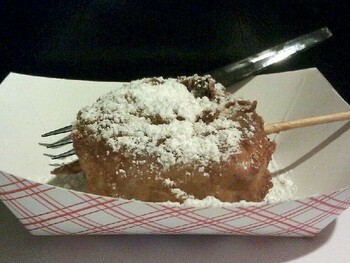 This year the deep fried jambalaya won Big Tex Choice Award, while the fried bacon cinnamon roll won Most Creative. The food, whether fried or not, is a treat for those tastebuds just because it’s fair food and it’s good! 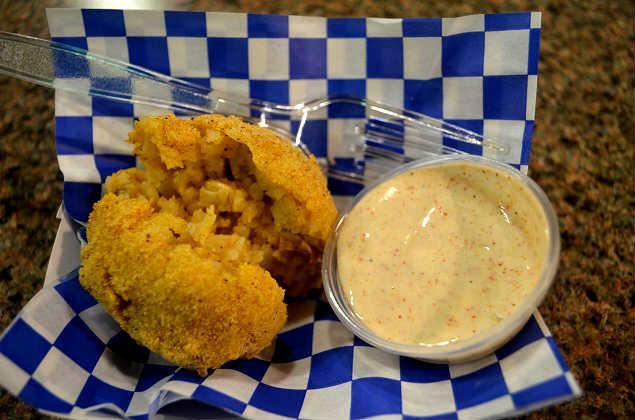 Click here to see a list of some of the many fried foods and past Big Tex winners! McDonald’s Deal – Check your tray liner or look for bag stuffers when dining at McDonalds and get $3 off general admission. Half priced child tickets are also sometimes distributed. Museum of Nature & Science Members – Free admission for all members! Museum members will receive a voucher good for 2 adults and up to 4 children. The Addams Family at Music Hall – Receive a same-day fair admission when buying a ticket to the Addams Family performance at Fair Park’s Music Hall. Click here to buy tickets & coupons online. Big Tex turns 60 this year! At 52 feet high Big Tex is the world’s largest talking cowboy figure. By the way, All Seniors 60 and over get free admission on Thursdays & discounted admission for $12 any other day. Capture the best angles and focal points during your visit to the fair and if you’re a skilled enough photographer you could win an iPad or $500 gift card! Click here for details and where to submit your pics! The State Fair Garden Exhibition continues to grow each year. Locate the Greenhouse on the Midway where Southern Living Lecture Series every Saturday and Sunday. Professional landscaping and sculptures by artists are featured in the Fall Garden Expo. Click here to view the speakers and garden exhibition artists. Our fair is the only one to host legendary college football rivalry games as an annual event. 10)	It’s good for the economy!! The longest running state fair in the U.S., TX state fair earns an estimated $350 million making a major economic impact on the DFW economy. Hope these 10 reasons are good enough to convince you to attend! We could only choose 10, but there are plenty more where that came from! 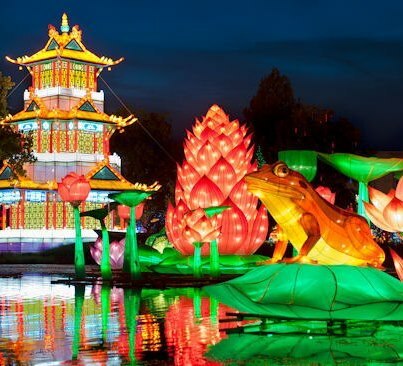 The thrilling rides, nearby museums, Chevrolet Test track, livestock and Illumination sensation show are other great attractions of the State Fair of Texas. Happy 60th to BIG TEX! This year we’re celebrating BIG at the 126th Annual State Fair of Texas.